Accurate: Linear frequency response; time-coherent; natural timbre, transparent; resolving. Powerful: No compression or distortion at high volumes; doesn’t collapse at low levels; covers the full dynamic range from an orchestra to a solo instrument or voice. Iconic: Beautiful form and harmonious proportions hand-made from materials with a soul. Aidoni is the result of a 15-year quest for excellence. Its performance is seamless; you can truly feel the music. Max Bruch transports you to the romantic Scottish Highlands; the voice of Ester Ofarim drowns you in a sea of beauty. Aidoni recreates and transmits the sheer emotion preserved in great recordings. Its design complements the emotional experience, it is a real beauty. 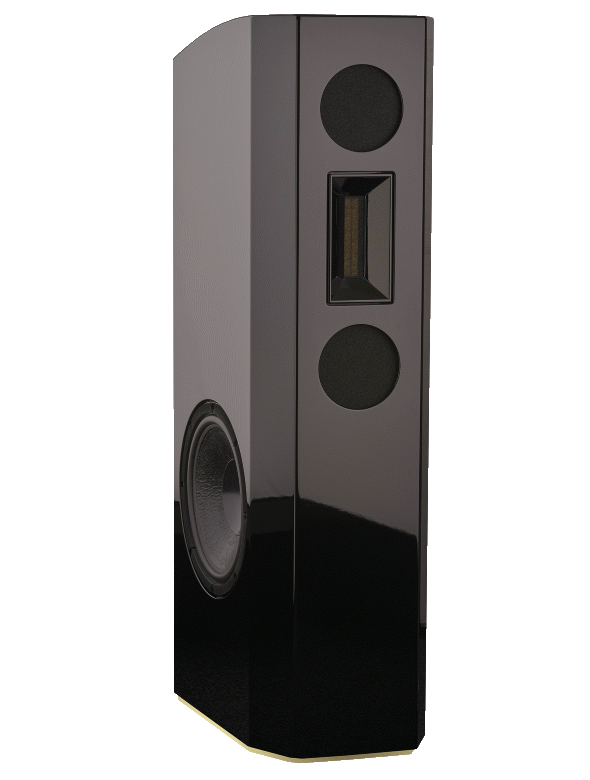 Aidoni integrates the best available technologies and advancements in speaker design from the past 60 years. It creates a sound that is natural and completely transparent, a wide, deep sound stage that is exhilarating. 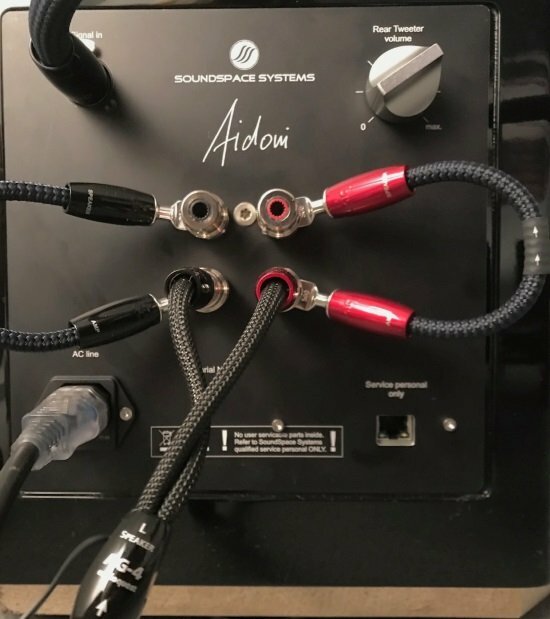 Aidoni allows you to enjoy music at very low levels when the kids are sleeping and becomes electrifying when the music gets physical at 110dB+ – Aidoni’s sweet spot. With an efficiency of 101 dB/W/m most amps will allow you this experience. We enjoy our speakers often with 25W SE tubes but also with 1000W solid state amps – and they work well together. Our measurements are best in class for frequency response, phase, transients, distortions and spectral decay. Top as clear as water. Our specifications for the high frequencies are high sensitivity and more than 120 dB sound pressure with virtually no distortion. Only one system satisfies our high aspirations: a pressure chamber hybrid driver enhanced with a Taktrix horn and an additional adjustable rear AMT. It creates seemingly limitless headroom and resolution. The time and space information is astonishingly accurate. The usual random movements of performers on the sound stage are eliminated. Overtones are so clear that they confuse none of the woodwinds or brass. The absence of edge is amazing. Bass as dark as deepest night. The bass is fast with real energy down to below 20Hz. Its accuracy comes from a closed enclosure design whose configuration confounds physics. For the bottom three octaves, it goes digital with an adjustable DSP and enough amplification power to boost the sound pressure. Two 15-inch drivers in a rigid enclosure apply pulse compensation to deliver the full deep bass experience. Midrange as smooth as silk. About two octaves in the middle – between a high-performing top and a dark bass – are filled with a matching midrange. The true challenge in this frequency band is the human ear. It is so resolving that the speaker has to be perfectly correct. One single note from a voice or a clarinet and everyone knows if it is right or wrong. Countless listening sessions provided the solution: exponential paper membranes, first order electric crossover and open baffle setting to create a midrange that is natural, immediate and fast. Aidoni has three high-performance cells, each with different underlying technologies and materials. The challenge was to combine all three into one single instrument. We tuned all electrical and mechanical crossover components for synergistic integration. The location of the drivers as close as possible to one another detaches the music from the speaker and focuses it perfectly. In the frequency range 150-30.000Hz, all voice coils are less than 50cm apart. A differentiated composite design, non-parallel surfaces and inner damping create a rigid, silent background for the music. Aidoni’s appearance, quality and craftsmanship are extraordinary. The proportions follow ancient Greek and Feng-Shui principles, rising in piano black or solid African teak from a base of bronze or brass. All components are sourced in Germany, Denmark, the Netherlands or France and tuned and assembled in Berlin and Munich. Everybody who listens to their music via Aidoni recognizes a difference but finds it hard to articulate the experience. They use words like headroom, unconstrained, limitless, unchained. Freedom is one of Aidoni’s embedded values and the main reason why it conveys such emotion. We create a free environment by limiting restrictions to the bare minimum and avoiding inertia. We use low mass drivers, first order crossovers and silver conductors only. These elements working together naturally in pure freedom is the difference that everyone hears. The bass unleashes the highs; the overtones sync with the fundamentals to create a sensation of naturalness; the top frequencies enhance the ultrafast bass. Freedom instead of control. Just feel it!